Yoga is a wonderful exercise for easing back into physical movement once you've had your baby. We offer two classes for Mamas to enjoy with baby as well as Vinyasa classes for some time to yourself. This is the perfect class for babies and their caregivers (mamas, papas, nannies, anyone who babys loves) to bond through loving touch, sight, sound, and movement. Each class offers a nurturing, strengthening practice designed specifically for your postnatal body and spirit. Some instructors may incorporate your little one into the yoga sequence more than others. Previous yoga experience is not necessary, and women who have practiced yoga before will find these classes are a great way to transition back to their pre-pregnancy practice. 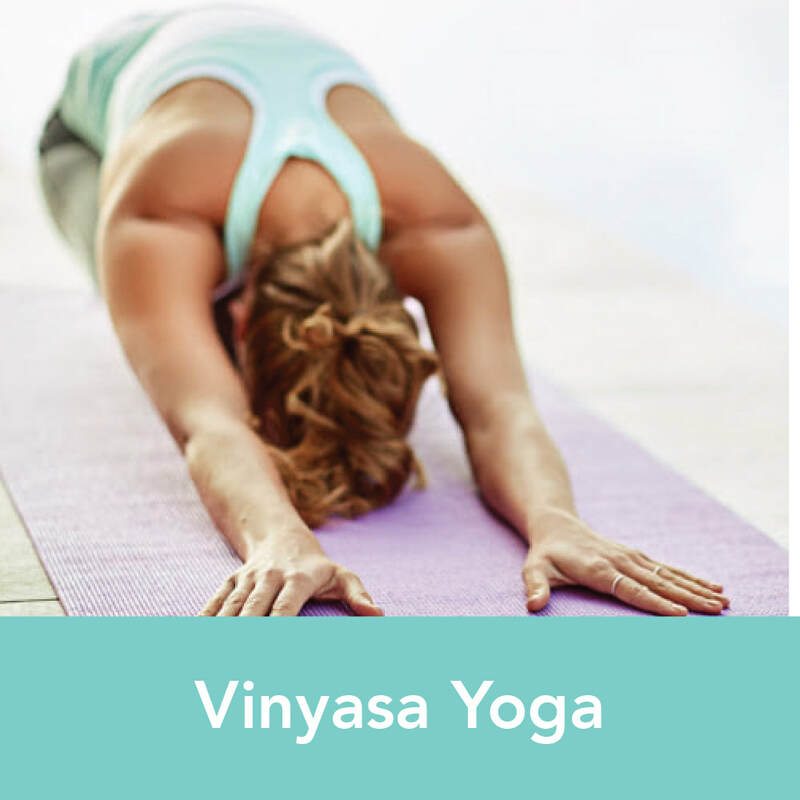 We offer 8 regular yoga classes a week and each one is a little bit different. See each individual class description below. Find your breath, get comfortable with yoga, or elevate your practice. 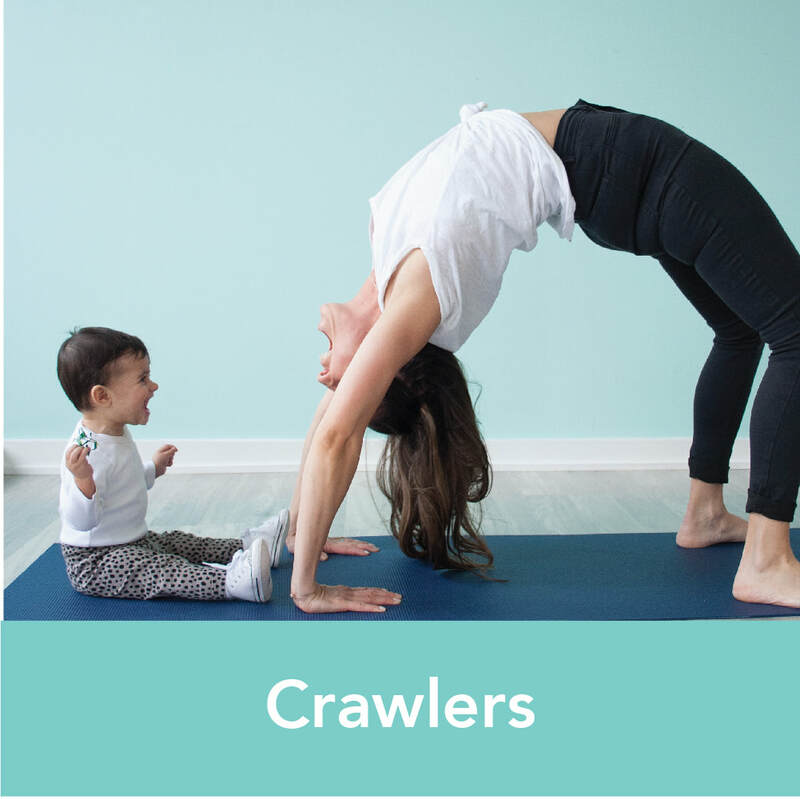 This is the perfect yoga class for babies who are crawling or just getting used to walking. For your movers and shakers who are too old for Yoga Babies, but perhaps not yet old enough for Tots Yoga. Through music, movement and engagement, babies have fun while developing gross motor skills and adults enjoy a nice yoga stretch. This class inspires curiosity, works on gross motor skills, stimulates baby''s senses and creates lot of laughter.